From investments to the environment, from sales to technology, The Daily Record’s team of columnists tailor their articles to include timely news and information that impacts business professionals. Whether the stock market’s a bull or a bear or the real estate market is on a high or a low, our columnists explain how it affects the business market. Whether the court is reading the law narrowly or giving broad interpretations to regulations, our columnists let you know how that may affect you business decisions. Beginning this Monday, I'll be writing a weekly editorial column for the Daily Record, tentatively entitled "Legal Currents". I'm looking forward this new endeavor and am very excited about this partnership. 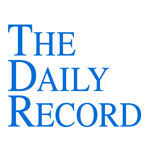 If you would like to learn more about the Daily Record, feel free to visit the Daily Record's website. You can do so by following the links in this post or clicking on their blue logo near the top of the sidebar to the left of this post. It's Friday. Welcome week's edition of the Sui Generis New York Minute. In today's video I discuss the State's Memorandum of Law submitted in opposition to the lawsuit challenging the lawyer advertising rules. How does Eric Turkewitz look at himself in the mirror in the morning? His wife and kids look like decent enough people (scroll down on link for picture). Where does Turkewitz find doctors in New York City willing to care for them? Scott Greenfield responded to Dr. Flea's highly personal attack in this post at the Simple Justice blog. In Oboler v City of New York 2007, NY Slip Op 02441, the New York Court of Appeals considered the issue of whether the plaintiffs had established an exception to the prior written notice law. In Oboler, the injured plaintiff fell when he tripped over a "depressed manhole cover" and subsequently brought suit against the City of New York. The Court noted that the City had no prior written notice of the alleged hazard as required by the City's administrative code, and thus the City could be held liable only if one of the two well recognized exceptions to the prior written notice rule was established by the plaintiffs--that the City either created the defect in the manhole through an affirmative act of negligence that immediately resulted in the dangerous condition or that a "special use" conferred a special benefit upon the City. Here, plaintiff presented no evidence of who last repaved this section of the roadway before the accident, when any such work may have been carried out, or the condition of the asphalt abutting the manhole cover immediately after any such resurfacing. Next, even assuming that the special use doctrine applies to a manhole situated in a City public street, plaintiffs presented no proof of any special benefit conferred on the City. Finally, we note that the expert's opinion was not inadmissible merely because nearly four years elapsed between the accident and the expert's inspection of the site. 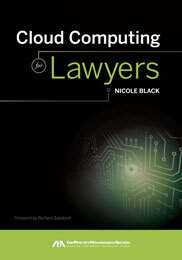 Because the expert could not supply any reliable evidence as to the elements of the exceptions to the prior written notice law, however, whether the trial court erred in precluding the expert's testimony is a question that does not affect the outcome of this case. That's all well and good, but it seems to me the Court ignored the elephant in the room--the manhole cover's alleged depression. It sounds like it was pretty severe. I can't help but wonder if all of this could been avoided if the manhole cover had sought out treatment. A little preventative Prozac could have done a lot of good in this sad, sad case. see-nay kwah nahn) prep. Latin for "without which it could not be," an indispensable action or condition. Example: if Charlie Careless had not left the keys in the ignition, his 10-year-old son could not have started the car and backed it over Polly Playmate. So Charlie's act was the sine qua non of the injury to Playmate. No one guessed this time around. As always, no dictionaries, please. How Dare You Call My Father Intestate! From Joseph G. Rollins of Houston, this excerpt is from a Trespass To Try Title case that he tried in Sherman "way back in the early 1950s." Joseph sets the stage by explaining that the witness' father had been "well known to have been an alcoholic." Q. And your father died intestate? A. (Halfway coming out of his seat) No, he died in a train wreck, Mr. Rollins, and you know it!! Judge: He's just trying to find out if your daddy had a will. A. Well, why didn't he just ask me that instead of getting personal about it. Greg Beck, an attorney who is the Equal Justice Works fellow at the Public Citizen Litigation Group and a frequent poster at the Consumer Law and Policy Blog, was kind enough to share with me the State's memorandum of law in response to the motion of the plaintiffs, Public Citizen, Inc. and Alexander & Catalano, et. al., for a preliminary injunction in the lawsuit that challenges the newly promulgated lawyer advertising rules. The State's memorandum can be found here. I haven't yet had a chance to read the entire document. Once I've done so, I may post my comments regarding the defenses raised by the State. Criminal defense practitioners take note of People v LeGrand, 2007 NY Slip Op 02588, a decision handed down by the New York Court of Appeals today. The Court ruled on the relevancy of expert testimony regarding the reliability of eyewitness identifications. (W)here the case turns on the accuracy of eyewitness identifications and there is little or no corroborating evidence connecting the defendant to the crime, it is an abuse of discretion for a trial court to exclude expert testimony on the reliability of eyewitness identifications if that testimony is (1) relevant to the witness's identification of defendant, (2) based on principles that are generally accepted within the relevant scientific community, (3) proffered by a qualified expert and (4) on a topic beyond the ken of the average juror. After applying this standard to Mr. LeGrand's case, the Court concluded that the trial court erred when it precluded the eyewitness testimony of the defendant's expert in its entirety. The defendant's murder conviction was reversed and a new trial ordered. Boss man: We need a lawyer to handle this. If it were 5 years ago, I'd call my brother. He was the one of the best lawyers in the country, but he can't help me anymore because he's been disbarred. What is the minimum number of judges justices that must sit on an Appellate Division panel during any given court session? And, truth be told, I wasn't entirely sure of the answer myself and had only conducted cursory research on the issue. But, my readers pulled through for me! No more than five justices of the appellate division in any department shall sit in any case. In each department four of the justices shall constitute a quorum, and the concurrence of three shall be necessary to a decision. If three justices do not concur in a decision, a reargument must be ordered. Thanks to everyone for their input. David Gottlieb of the No-Fault Paradise blog got it correct, and Scott Greenfield of the Simple Justice blog provided cites to the relevant law. Good luck, and remember--educated guesses only, please.